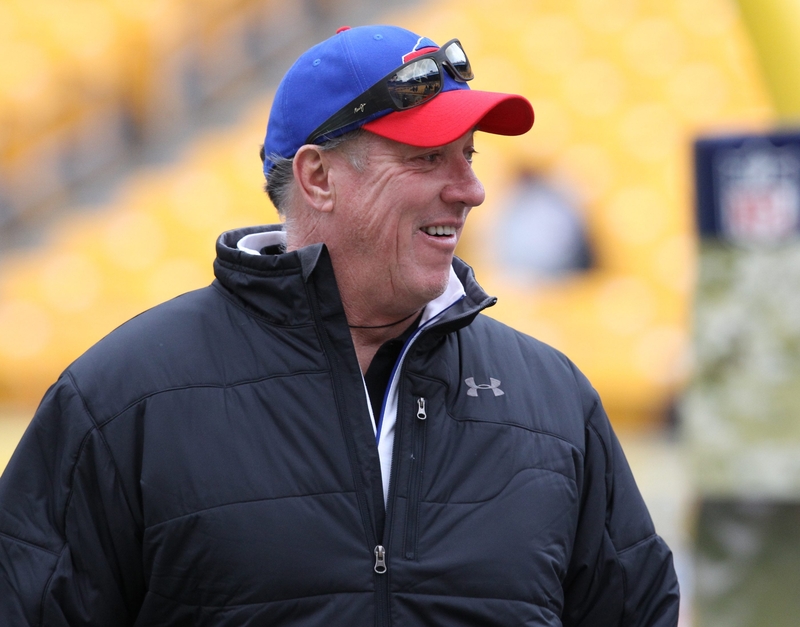 Bills great Jim Kelly knows he has plenty of people supporting him in his fight against cancer. Family, friends and fans are rallying in support of Buffalo Bills great Jim Kelly during his renewed battle with cancer, and his family reports it is a boost to his spirits. Concern across Western New York for the Hall-of-Fame quarterback has been high since it was learned almost two weeks ago that his cancer had returned — less than a year after he underwent surgery to combat oral cancer. She reported via Twitter on Monday that surgery is tentatively scheduled for Thursday. Kelly is being treated at a New York City hospital. “And every day we prepare, get stronger, trust God!” Jill Kelly wrote. The congregation at the Chapel at CrossPoint in Getzville knelt in prayer during Sunday services and prayed for Kelly, among others. The services are streamed online and were watched by the Kellys. “So incredibly overwhelmed and thankful for @chapel_buffalo and the multitudes who are praying for Jim,” Jill Kelly wrote on her Twitter account. The Chapel’s Sunday services draw about 5,000 people a week. “At the end of the day, the Kelly family is part of our church family, and so like anyone in our church family that’s going through a difficult season, we want to join them in praying and lifting them up to the Lord for his help,” said Pastor Jerry Gillis. Meanwhile, Bills greats Andre Reed and Bruce Smith flew into Western New York on Friday and joined fellow Bills Hall-of-Famer Thurman Thomas in visiting Kelly at his home. Average fans also have been sharing their well wishes by signing a massive get-well card coordinated by 97 Rock radio personality DJ Jickster, a friend of Kelly’s. The station brought it around to the sites of its morning show and took it downtown over the weekend, during the NCAA basketball tournament in Buffalo. The station collected 4,000 signatures on a card it delivered to Kelly in June. It expects to collect many more than that on the current card before delivering it to Kelly. Kelly, 54, underwent surgery on June 7 after being diagnosed with squamous cell carcinoma. Doctors had to remove part of Kelly’s upper jaw, part of the roof of his mouth and numerous teeth. More cancer was found this month during a follow-up visit Kelly made to his doctors at the Erie County Medical Center.